The most ancient part of Hungerford, The Croft was the village green, before the ‘new’ town was laid out between 1180 and 1250. 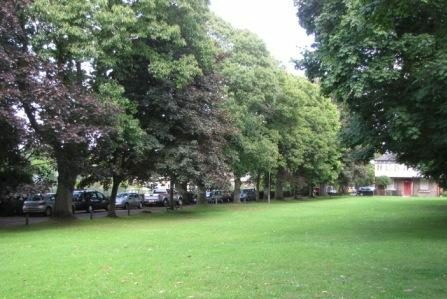 The Croft, or Church Croft as it’s also known, is roughly 1¼ acres of green space, surrounded by 100 year-old sweet chestnut trees, Glebe land and village cottages. Originally known as Town Croft, The Croft was given to the townsfolk in 1550 by John Undewes and his wife, ‘to hold fairs and to sport therein’, in exchange for the princely sum of a red rose each year, if requested (it never was). 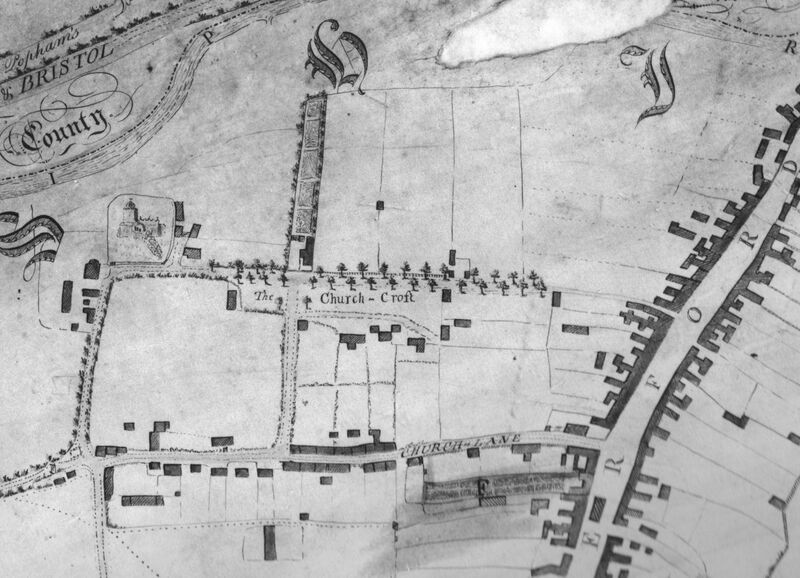 In 1617, The Croft formed part of the lands passed by James I into the trusteeship of the Town & Manor. To enable the Town & Manor to meet the costs of maintaining and caring for this land, The Croft, along with the Hungerford Common and Freeman’s Marsh, was registered under the Commons Act of 1965. 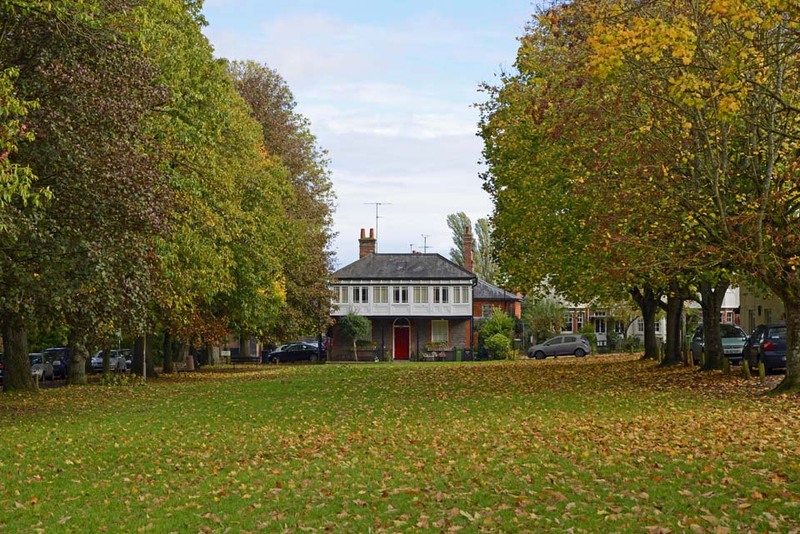 This effectively preserves The Croft as the Village Green in perpetuity, as a historically important piece of Hungerford’s open space, preventing development and encroachment by cars and other vehicles. The Croft is the village green and is registered under the Countryside & Rights of Way Act (2000/04) and is managed according to these regulations. On foot – From the High Street, go down Church Lane, a small thoroughfare signposted ‘To the Church’ and situated between Eden Baking at 9a, and The Gentleman Barbers at 10 High Street. 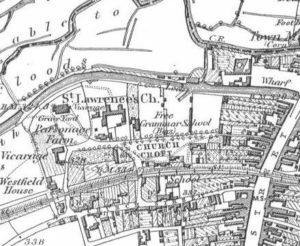 By car – From Church Street via Croft Road or Parsonage Lane. The Croft was separated from the south of the town when the railway was extended westwards in 1862. Road access was reduced, with two bridges connecting The Croft with town via Croft Road and Parsonage Lane (originally Dog Lane, but the name was changed some 50 years ago to as it was thought more ‘in keeping’ with in-coming residents). Records show that The Croft has been planted with substantial trees on several occasions over the centuries. 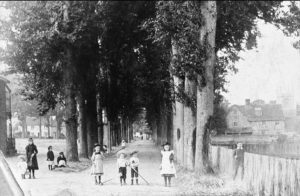 The mature trees were often felled and sold to meet unexpected bills received by the old Feoffees (trustees). 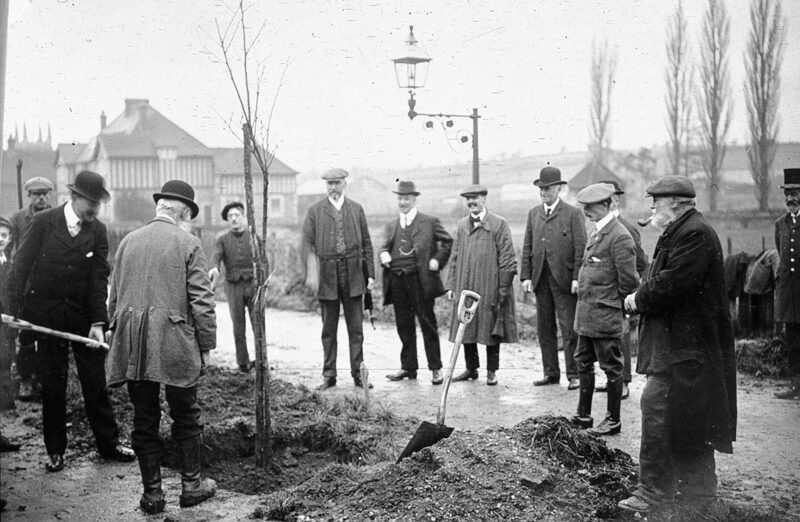 Replanting was important though, and after a crop of big elms was cut down and sold early in the 20th century, they were soon replaced by the present sweet chestnut trees, in the winter of 1913, by the Constable of the day, John Adnams. 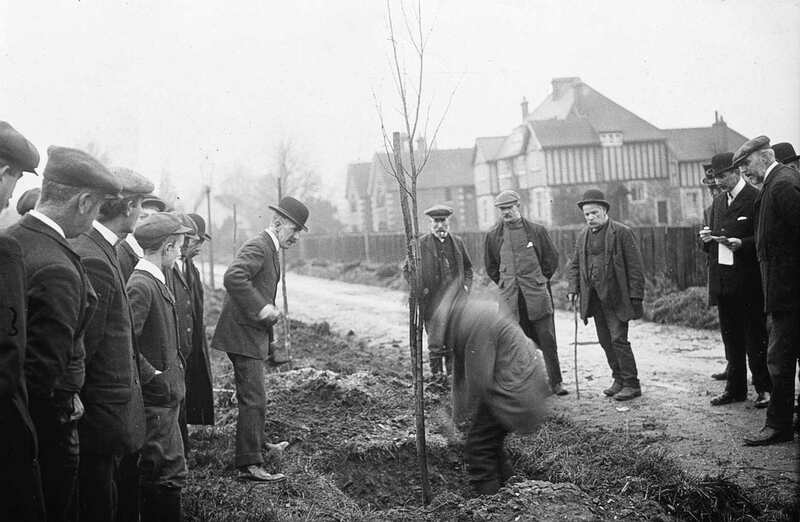 The 1913 tree planting ceremony. On the left, in the bowler hat, is Mr. Henry d’Oyley Wolvey Astley, local solicitor and Clerk to the Town & Manor. The digger, a blur in the centre, is the Constable, Mr. John Adnams. These sweet chestnuts are now more than 100 years old, and thankfully most are in good health. 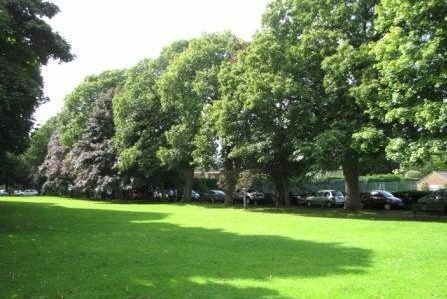 While the management of such big trees in a confined public area is both difficult and costly, particularly ensuring we’re compliant with modern laws, they’re as important to us today as they’ve always been. With the right care, these fine trees could and should be with us for another 100 years or more. The Berkshire & Hampshire Railway, built on a high embankment through The Croft, opened in 1862. Initially a single track line, it was converted to a double track in 1898, once the Croft Road and Parsonage Lane bridges (amongst others in the town) had been widened – you can still see the additional brickwork. The Croft Road bridge was renewed in 2012. There is a ‘clapper’ or ‘tumble stile’ on the path between The Croft and St Lawrence’s churchyard, the route of the original public footpath. Believed to be one of only four in England, it is the only one to have four bars (most have three). 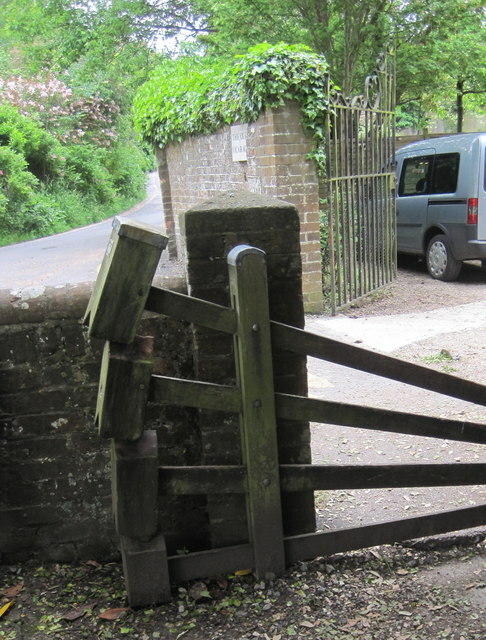 A further right of way was created to the church door by the Town Council as a more accessible alternative to the tumble gate ‘For the passage of prams and push chairs’.